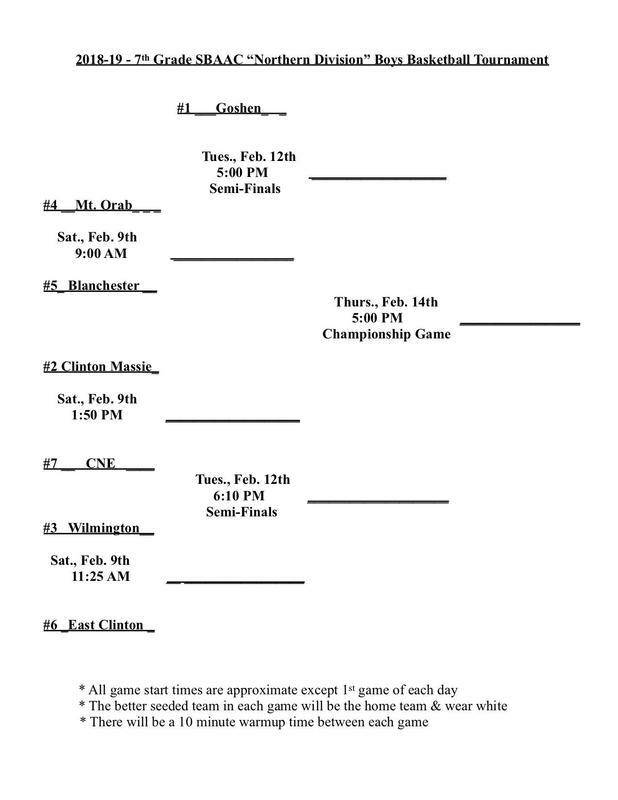 Both 7th grade basketball teams earned a 1st round bye in the upcoming SBAAC tournament. 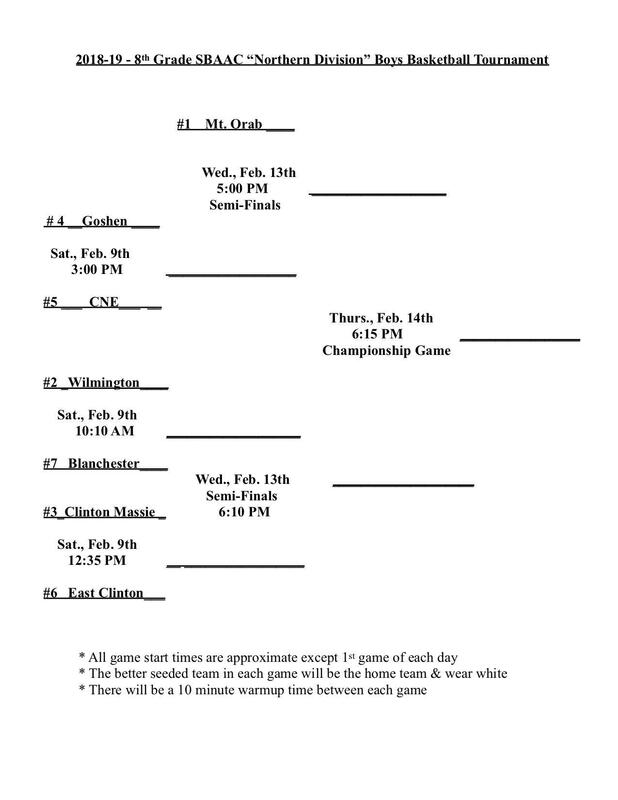 The 8th grade boys will play Saturday against CNE at 3:00p at Blanchester HS. 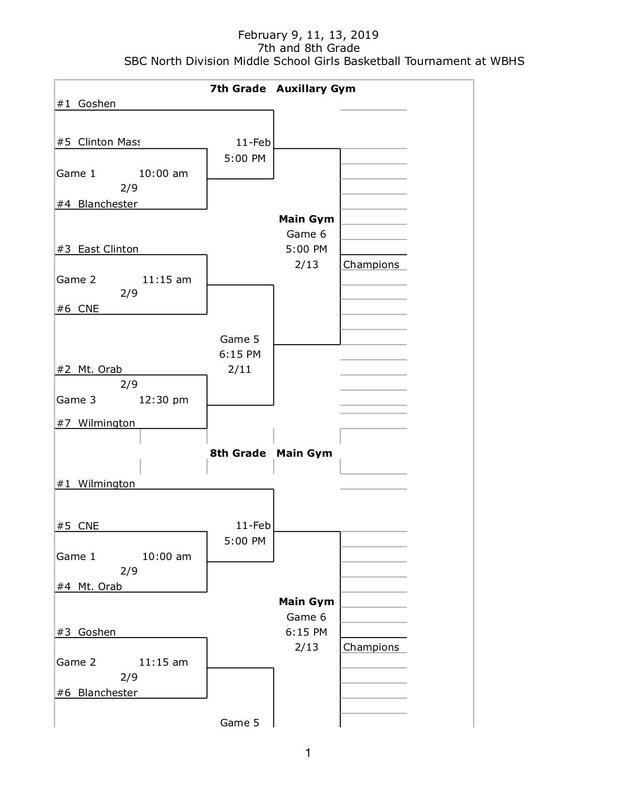 The 8th grade girls play Saturday against Blanchester at 11:15a at Western Brown HS. Good luck Warriors!